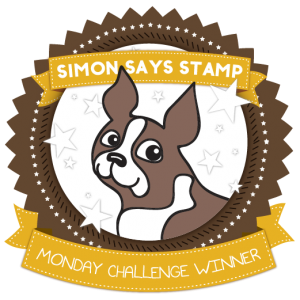 This piece was inspired by the prompts for Viva Las Vegas Stamps May Challenge. The theme was - everything comes 'round so the idea was to include round stamps and elements. I first stamps with the VLV stamp, Doodle Circle ( 19823) I really must make a list of my VLV stamps as I have to look them up on my order every time!! 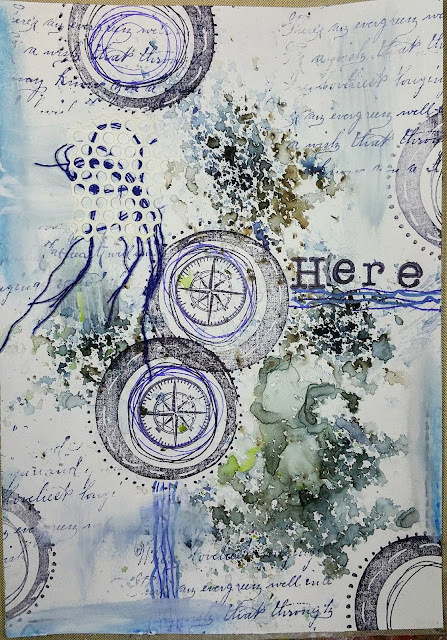 I was very excited to try my new Paper Artsy Infusion which my daughter just brought back for me from the UK. I used In the Navy and Sleight Blue which are both colours in the newer ranger.. 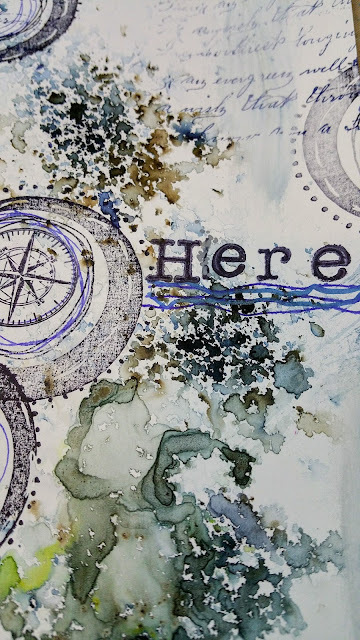 I then added some stamping with script and compass stamps - which lead to the word 'Here'. I also added some doodling, some of which I wasn't very happy and so tried to cover with gesso. 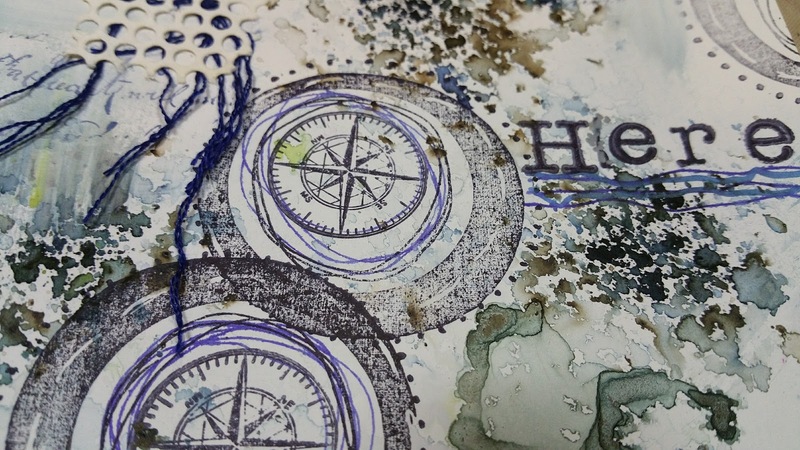 Turned out it smudged - which I did like! I finished it off with some thread, stick down with gessoed, circle drywall tape.